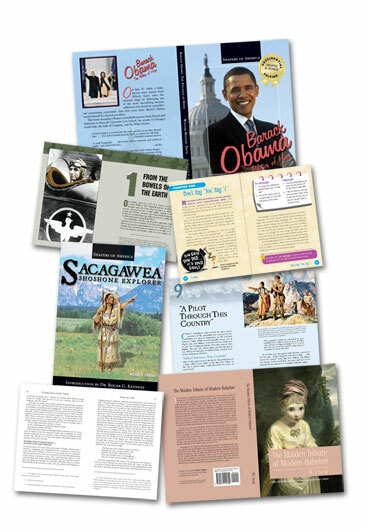 OTTN Publishing has produced more than 800 books over the past nine years. We've worked with large publishing houses, small companies, and self-publishers. If your company is looking for expert professional services, contact us to discuss your needs; we'll be happy to supply a custom quote. Because every book is different, we do not post prices. Let us bid on your book and see how competitive we are. Line/content editing: A fairly heavy edit to ensure that the manuscript is clearly and logically organized, factually accurate, and grammatically correct. Copyediting: A thorough reading for consistency and conformance to the style your organization requires (for example, Chicago, MLA, AP); correction of spelling, punctuation, and grammar mistakes. Proofreading: A careful check to catch typographical errors, confusing or awkward sentences, and other problems. Cover designs: Development of a cover (and/or jacket), made to fit your printer's specs and checked to ensure that images and colors will print as intended. Descriptive copy for the back cover and jacket flaps. Interior design and typesetting: Eye-catching layouts that feature expert selection of type fonts along with black-and-white, two-color, or four-color graphics. Photo research and acquisition: Finding images that are appropriate for your book, determining who holds the rights to those images, and acquiring the rights to use the images in your publication. Maps/charts/graphs: Creation of any kind of graphic element to enhance readers' understanding of the subject. Indexing: Expert indexes, from straightforward to complex. We can help you find the most cost-effective way to print your book: whether to employ a short digital print-on-demand run or a traditional/offset print run. We'll collect quotes from several printers and make sure that they can be compared "apples to apples," then help you determine which printer would be best for your book. We'll work with the printer to have proofs made, and we'll review those proofs to ensure that your book will print exactly the way you want. Convert your files to printer-ready PDF: If you've designed your book in a program like Microsoft Word, we can convert the file to a format a printer will accept. Once a PDF file has been created, we'll do a quick proofreading against a printout to make sure that nothing has changed (we won't be looking for typos, but will mark and correct any that we find). Basic website design: We will scan book covers or other images (such as interior page spreads) as needed to help create a brochure-style website to showcase your books and/or publishing company. You'll have an opportunity to approve the design or make whatever changes you desire. The website will appear properly in all popular browsers (Internet Explorer, Safari, Netscape, Mozilla, Opera). Forms and applications: We can help you with the following publishing-related forms: Application for ISBN prefix (10 number minimum); Books-in-Print/BISAC codes; Cataloging-in-Publication (CIP) data; LCCN (Library of Congress Control Number); EAN/Bookland bar code; UPC bar code; Copyright registration. Please feel free to contact us with any questions about how OTTN Publishing can help your company.